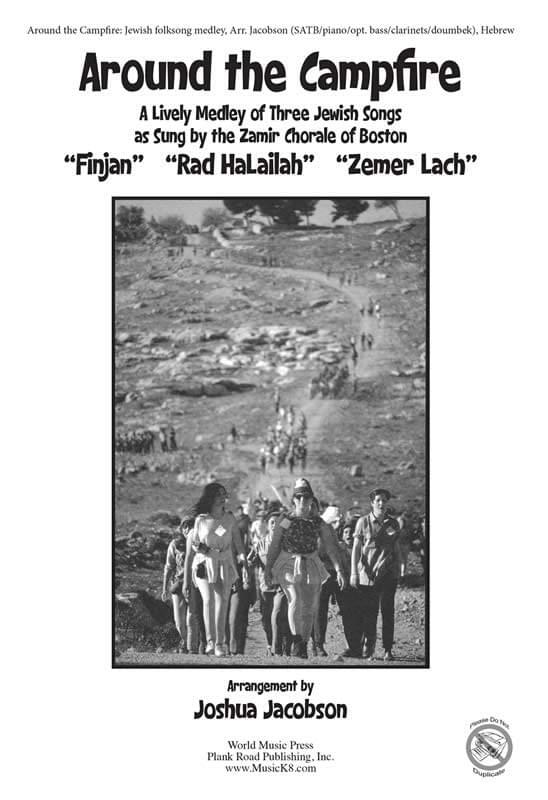 Arranged by Joshua Jacobson, this is a medley of three Jewish folk songs: "Finjan," "Zemer Lach," and "Rad HaLailah" (the last two are horahs). These are lively arrangements that are not difficult. Raise your high school roof with this suite. Hebrew/Singable English; suitable for SATB/SAB; piano (optional clarinets, electric bass, percussion). A clarinet part in Bb is available upon request.